The model 4110 ZL is a totally automated multi-element analysis system for Zeeman-effect Graphite Furnace AAS. The 4110 ZL is a compact benchtop AA instrument, including all spectrometer and furnace components in a single unit for minimum space requirements. Find online auctions and classified ads for Perkin Elmer Graphite Furnaces and Perkin Elmer 4100ZL Atomic Absorptionon on LabX. 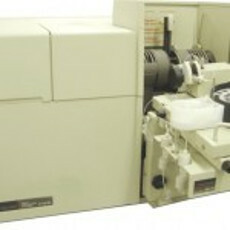 LAB EQUIPMENT Perkin elmer 4100 atomic absorption spectrometer, model: 4100, id NO. : 505944. .